New to Process Server Advertising & Marketing? 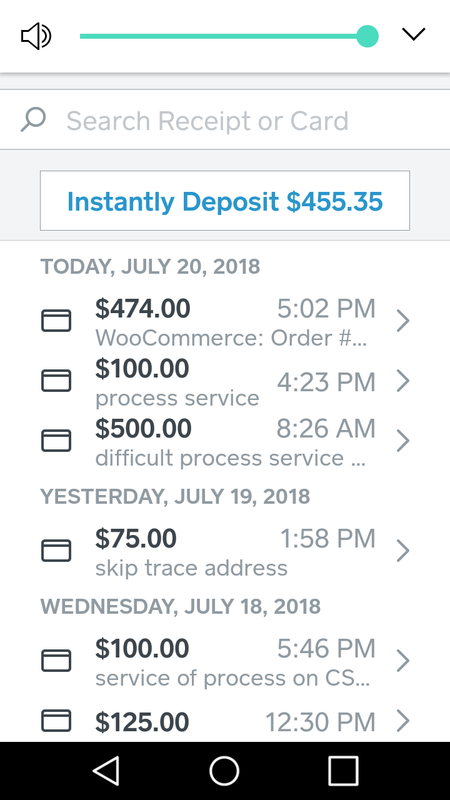 Create an account to get started today. 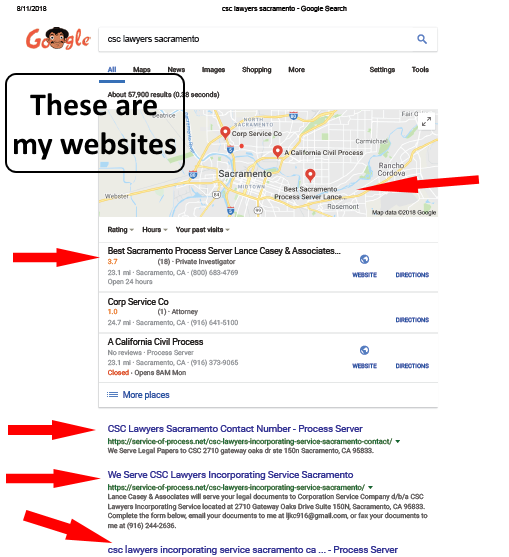 How to launch process server advertising online with local niche marketing? Call us at (800) 395-7452 or complete the form below for a free consultation. $199 Set up fee. Includes a one page web site with a contact form. Your contact information will be included on the page. How to advertise process server? How to get clients as a process server? How to market a successful process serving business? How to start a process server business? A local niche market is a highly focused, targetable portion of a market. We market to a narrow defined group of potential local customers that have specific needs for your product or service. “The customers in the niche have a distinct set of needs; they will pay a premium to the firm that best satisfies their needs; the niche is not likely to attract other competitors; the nicher gains certain economies through specialization; and the niche has size, profit, and growth potential” (Kotler, 2003). I am a Sacramento Process Server and my job is to serve legal papers to people and businesses. I was being hired by a lot of people to serve businesses located at one location in Sacramento California. 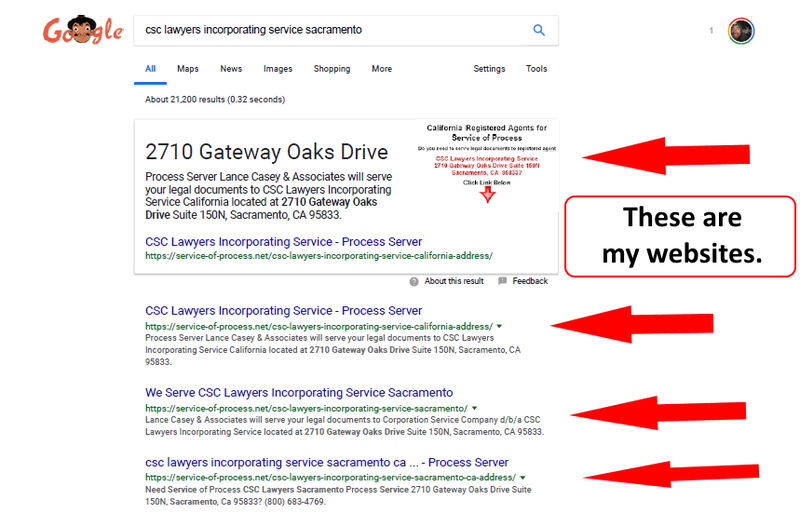 The business was Corporation Service Company doing business in California as CSC Lawyers Incorporating Service located at 2710 Gateway Oaks Drive Suite 150N, Sacramento, Ca 95833. I conducted a targeted niche market keyword research around the location and the address. The research resulted in easy to rank keywords in a google search. 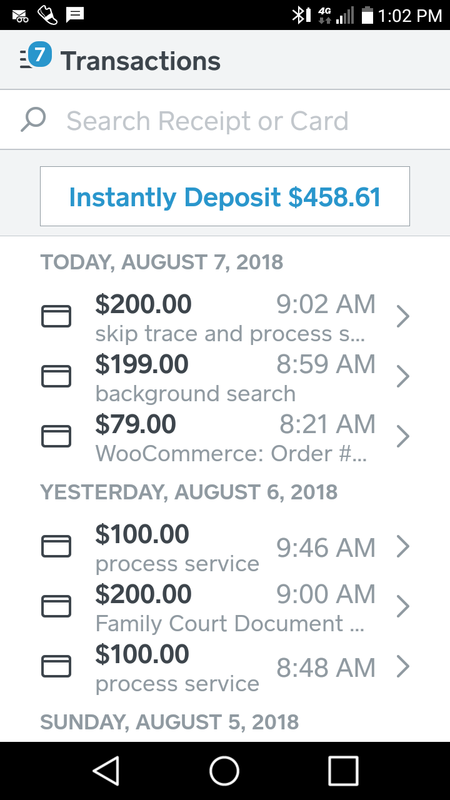 Here are some of the results of my local niche marketing income. How To rank higher on google with local niche marketing? Get a Free Consultation with Niche Marketer Lance Casey.